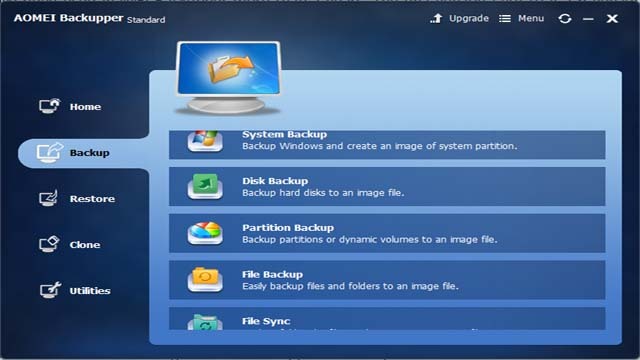 AOMEI Backupper Standard, as its name suggests, is a backup software. It works on both Windows PC and Windows Server. 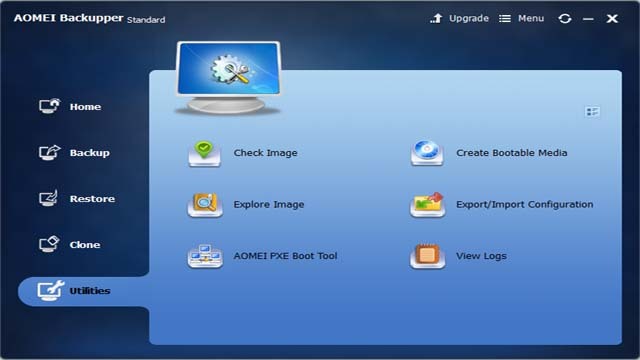 Free AOMEI Backupper Standard Edition and paid Professional Edition are used for Windows PC. AOMEI Backupper Server and Technician can be used for Windows PC and Server. In fact, all these information can be found on AOMEI Backupper’s official website. But since the content is scattered in different pages, visit them spends time. So, I’d like to collect useful information and make a brief here. By the way, I’m a loyal AOMEI user. Back up entire hard disk or specified partitions, or just clone them. Backup system and create a system image to keep Windows and applications safe..
You can even use command line to do backup and clone. When it comes to restore, AOMEI Backupper supports universal restore, restoring system from bootable disc, selective files restore, restore with partition alignment, restore from command line, etc. But backup and clone features alone are not enough. AOMEI Backupper has many built-in utilities. Above mentioned “restoring system from bootable disc” because of its “Create Bootable Media” tool, either Linux or Win PE bootable media is OK. PXE Boot tool is with the help of PXE technology, to boot your multiple clients in the same LAN without hard disk but via network. This tool is very helpful for administrator who manages numbers of machines in a lab. Internal hard disks, External hard disks, Solid-state drive (SSD), USB flash drives, Thumb Drives, Network-attached storage (NAS), Hardware RAID, Dynamic Disk and Virtual machine system, etc. Support to restore files to a long path. Support to clone dynamic system volume on MBR disk. Optimized dynamic system volume backup on MBR disk. Fixed issue: the program crashes when choosing the specified path on some interfaces. Fixed issue: error code 4161 occurs during file sync if the target path exceeds limited length. Fixed issue: file backup crashes when a large number of files are being used. Automatically download Windows 10 image file to create bootable Windows PE media.